NEW! The Kiddiewinkles Bedside Organiser (£20) is a super useful addition to any bedroom! 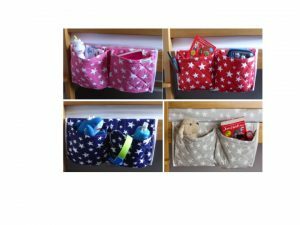 Ideal for all beds, especially children’s cabin and bunk beds where a bedside table can be tricky, this is a handy way to keep your little one’s favourite books, water bottles, cuddly toys and more in reach. You can either slip the fabric under a mattress, or attach to the bed using built in Velcro straps. It can also be attached to the outside of a cot to keep spare dummies in for night time emergencies! 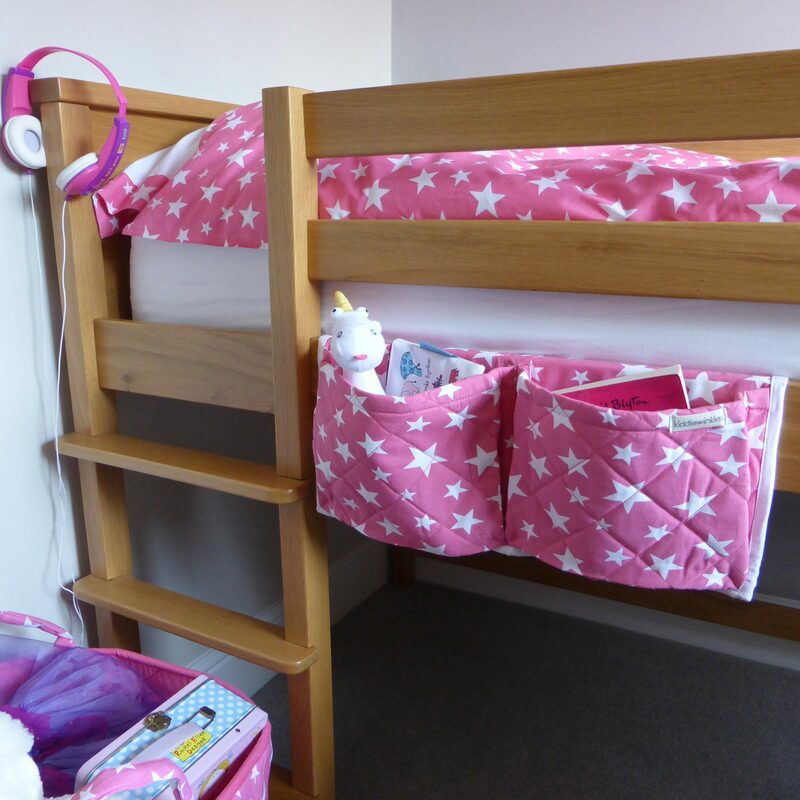 Available in a variety of colours in Kiddiewinkles’ exclusive star design fabric.